"Versatile log processor with ample community support and rapid updates"
The thing I like the most about logstash is the ability to adjust it to whatever you are doing. If it is your own custom project, or a standard input source it will bend to your needs. Setting up logstash took a while when I had no idea how to get it working. What I am trying to say is the learning curve was a little higher than I thought. That and GROK is horrible. Learn to use Grok. Find a Grok parser online and then look for a LOT of guides on how to write grok. There are plenty of them out there. When you have found your guide, test out your code. Set up a CI / CD environment, even if it is a simple one to test out your changes to your logstash configuration files. Make sure you setup all your inputs and outputs as separate files, it makes for a LOT easier debugs. Analyzing windows and Linux log files for common use, and miss use of computers. Being able to see in one central location how all of the systems and clients are behaving is wonderful. "Easy to setup detailed log monitoring with interactive dashboards." The regular expression based log parsers work really well. Immediate discovery of issues helps fixing the bugs very soon. You do not need to login to server and check the logs everytime. Logstash along with Kibana and elasticsearch works like a charm. You will get a holistic view of all your logs and your debugging starts here. Its parsing is limited to the regular expressions. Should have some approximate matching with ML techniques which can help discover more issues. Writing custom grok regex patterns is a bit complex. The threshold for one time setup is a bit high and you need to have an initial understanding of the tools. 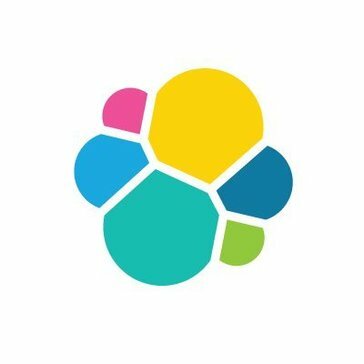 Use the complete ELK (Elasticsearch, Logstash and Kibana) stack for the best overview and experience. You can find nginx, apache, uwsgi grok rules easily online but you should have an initial hands on with grok parsing if you want to have some custom parsing. It helps developers discover and manage bugs very quickly. The no of incidents that are occurring can be monitored and helps decide that priority on which the issues needs to be worked upon. App monitoring and backend team's efficiency increases a lot with this tool since they don't have to spend a lot of time discovering the bugs. "Go to open source log processor"
It's a very versatile log processor with a very supportive community. It also comes with ample of plugins that's very useful. The GROK filter plugin contains prebuild regular expression that supports common software log patterns to get you up and running quickly. There is a learning curve like all software. It has its own syntax and requires java run time. It's a memory hungry software for being a java app. This is implemented with elasticsearch, kibana and logstash commonly known as the ELK stack for log management and anomaly detection for future implementation. "Worst configuration. Why Java and Ruby? Why not just Ruby or Java?" The Logstash solves my problem. It collects all my logs and stores it in ElasticSearch. Everything else I do not like in this product! Sorry guys but other products from your company is much better! 1) Why Java and Ruby? Why not just Ruby or Java? I have to configure how to run java, jruby and after that I faced with the Ruby errors of some plugin... AAA!! 2) I don't understand configuration, what should i chose: embedded Elasticsearch or dedicated? What is the differences? Why some of plugins may be input, output, and filter? What should I chose? 3) I've configured Logstash, but I still have a lot of misunderstandings. I would like to have interface to configure Logstash in the Kibana. Logstash are made by the same team as Elasticsearch and Kibana. Logstahs helps me to collect all logs of all my services. "Works with great reliability and very low maintenance"
Very supportive community to reach out with issues. I also like their grok feature to do basic regex searches to convert some of my unstructured data into structured data and gives more visibility into my application logs. Last but not least, it's open source so it’s simple to extend it to custom log formats or add plugins for custom data sources. It took me a while to set Logstash correctly and run it reliably without running into any issues. I would often get out of memory issues and even after increasing system RAM, I would run into this issue. I finally figured out the issue after much searching around but it was not immediately clear what caused the issue. Documentation is good but as with any open source tool, it is not as extensive or complete as one would wish. We use logstash as ELK stack to monitor and search our logs in production environment to detect potential issues with our applications. It has also helped us to monitor logs for our large scale crawlers that we have deployed for our product. "Low maintenance with high performance"
The grok feature used to parse out the fields from raw logs using regular expressions. The internal memory consumption used by java for each application thread spawned. simple to configure and use. easy to maintain and monitor. Only disadvantage is high CPU/memory usage for the underlying java program used by logstash. parse out all the raw application logs using grok into a single JSON file which can be used to power user usage analytics for mobile devices and to determine customer churn. Very good performance when processing and collecting logs big in size. Open source with a big community and a lot of plugins available. We needed a way to easily find recurring build system problems that are in our hundreds of logs. With the implementation of elk(elastisearch, logstash, kibana) we can now easily search all of our logs at once. "Simple to configure. Works realiably. Simplest tool in ETL"
The simplicity of defining the configuration for an ETL job and numerous plugins available. Not so friendly way to scale the tool for huge amounts of input. Definitely, try it out. It's the best tool for small to medium workloads. Default grok patterns can be quite tricky. Suggestion: use CSV filter if feasible. Extract Transform Load workloads especially for access logs. It logs the activities from all the servers and aggregates them into one source of truth for visualization and researching. Very good integration with elastic search and kibana. Together all three form a powerful Log management solution. Need separate nodes for logstash ,kibana and elastic search. Log management of the prod application deployed in a cluster environment. * We monitor all Logstash reviews to prevent fraudulent reviews and keep review quality high. We do not post reviews by company employees or direct competitors. Validated reviews require the user to submit a screenshot of the product containing their user ID, in order to verify a user is an actual user of the product. Hi there! Are you looking to implement a solution like Logstash?